WASHINGTON (May 11, 2016) -- "This is the most advanced arm in the world. This one can do anything your natural arm can do, with the exception of the Vulcan V," said Johnny Matheny, using his right hand to mimic the hand greeting made famous by Star Trek's Leonard Nimoy. "But unless I meet a Vulcan, I won't need it." 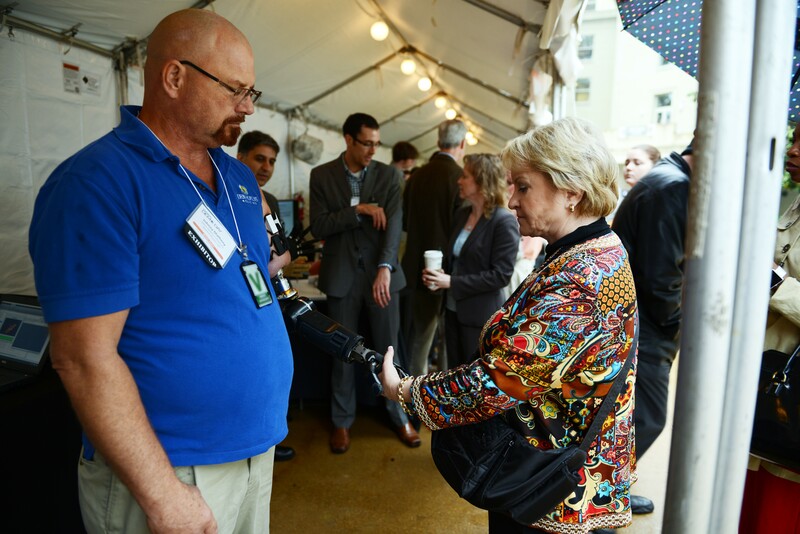 Johnny Matheny, with the Johns Hopkins University Applied Physics Lab, shakes hands with a visitor during DARPA Demo Day, May 11, 2016, at the Pentagon. Matheny wears a prosthetic arm that attaches to his body, through his skin, and into his bone. 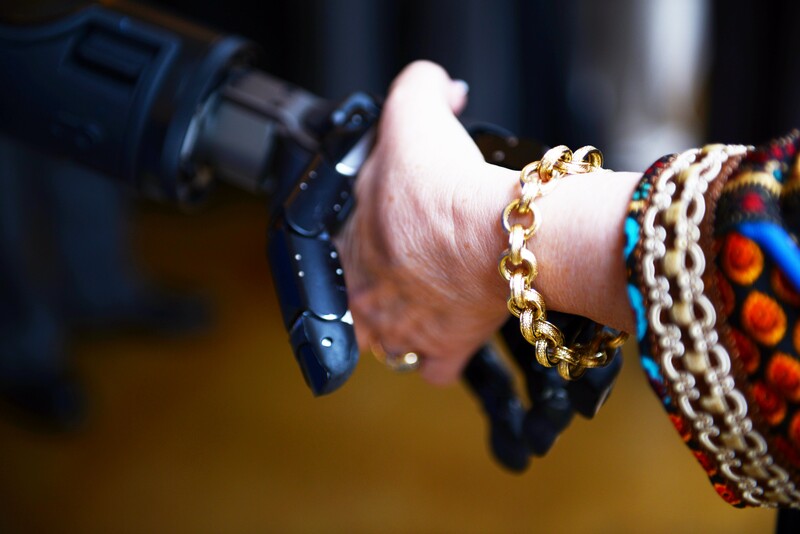 It's part of the Revolutionizing Prosthetics Program, where DARPA wants to restore near-natural upper extremity control to service members who have lost limbs. Johnny Matheny, with the Johns Hopkins University Applied Physics Lab, shakes hands with a visitor during DARPA Demo Day, May 11, 2016, at the Pentagon. Matheny wears a prosthetic arm that attaches to his body, through his skin, and into his bone. Researchers at Johns Hopkins, working for DARPA, have developed the experimental arm controlled by nerves with the goal of restoring a sense of normalcy to service members who have lost limbs.